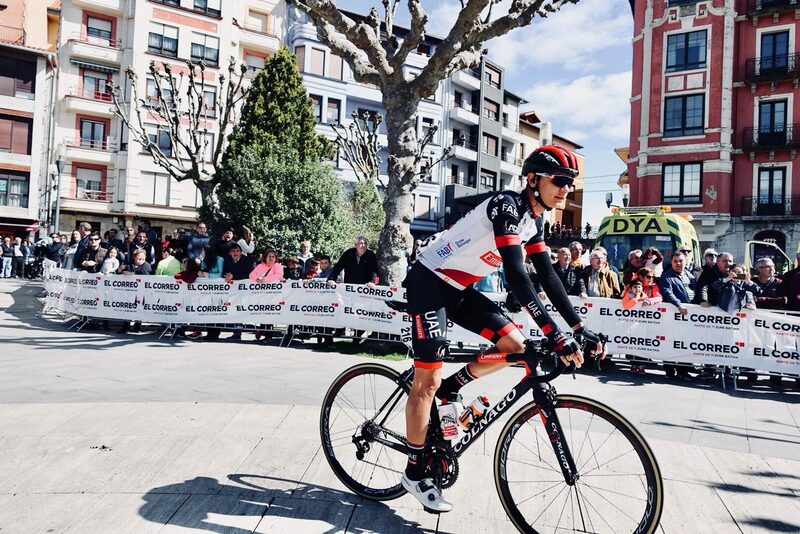 In the longest stage of this year’s Vuelta al País Vasco, 184.8km from Bermeo to Valdegovía, Alexandr Riabushenko claimed second. Jay McCarthy (Bora-Hansgrohe) claimed the stage win ahead of UAE Team Emirates’s young Belarusian. Tomorrow, the riders face the fourth stage, an individual time trial of 19.4 kilometres starting and ending in Lodosa.